For the American Kickboxing Academy (AKA) product, that most recent appearance, unfortunately, came in a devastating loss to Yoel Romero in the headliner of UFC 221 in Perth, Australia. 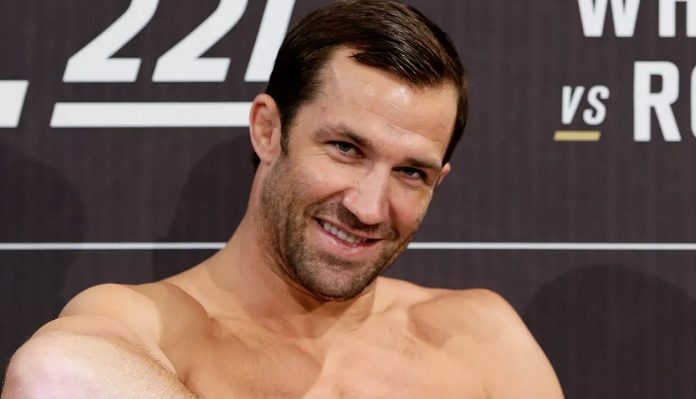 Since then, Rockhold has questioned whether or not he would stay at 185-pounds going forward before he inked a contract to face off in a rematch with Chris Weidman at UFC 230 in November 2018. Weidman was the man that Rockhold would defeat to win the title in December 2015. However, injuries would end up forcing Rockhold out of the bout thus leaving him sidelined until the new year. Following the fight cancellation, Rockhold has announced that he’s moving up to the light heavyweight division. Monday on Ariel Helwani’s MMA Show, Ariel Helwani would share that a bout between Rockhold and the No. 7 ranked 205-pound contender, Corey Anderson is being looked at for UFC 238 in Chicago, Illinois on June 8. Despite recently agreeing to a fight with Alexander Gustafsson for UFC Stockholm, the streaking Anderson would end up quickly losing out on that bout as during the same day, Gustafsson would land a bout with Anthony “Lionheart” Smith for the very same event. As he’s continued to rack up wins and put together his three-fight winning streak over the likes of Glover Teixeira, Ilir Latifi, and Patrick Cummins, Anderson has been vocal about how he doesn’t want to be left out of the title talks anymore as Thiago Santos looks to be leapfrogging him for the next crack at the division’s champion, Jon Jones. When it comes to current options though, a former champion in Rockhold wouldn’t be the worst for Anderson to try and continue to make his claim against.